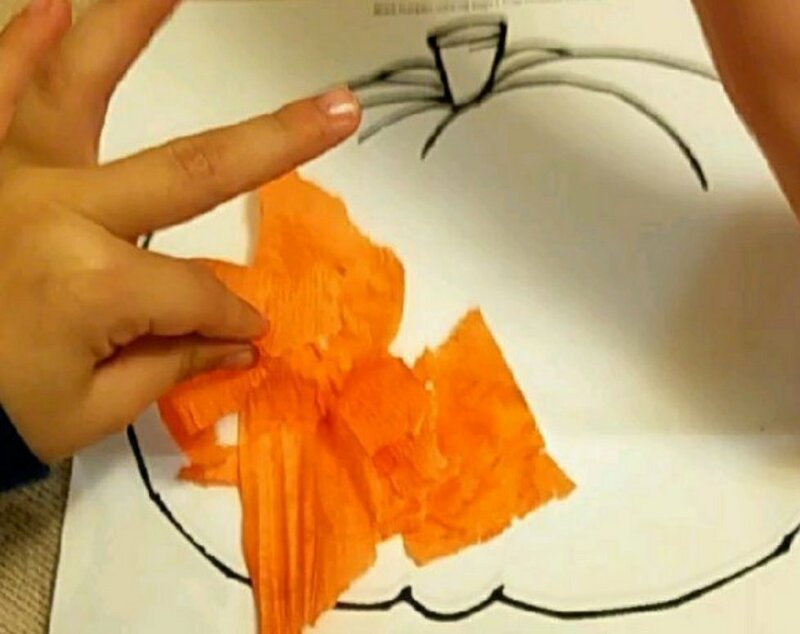 Here is a fun Halloween craft we did to practice tearing. Tearing paper is a great way to strengthen bilateral coordination, cognitive skills, fine motor skills, strength, visual motor integration, and visual perceptual skills! I printed off pumpkin pictures from the computer. The girls then covered the pumpkin with glue, and torn pieces of paper. We used colored streamers – orange for the pumpkin, and black for the eyes and mouth. Different types of paper will change the difficulty when you do tearing crafts. .As always, thanks for reading! Please leave a comment, like, and subscribe. Have a blessed day! This looks really easy. I’m going to have to try this with Avery!